Senator Lee and Governor Herbert with Arturo Morales and his family. At 9:15 a.m., FreedomWorks C.E.O. Adam Brandon presented [Arturo Morales] with our Activist of the Year Award. 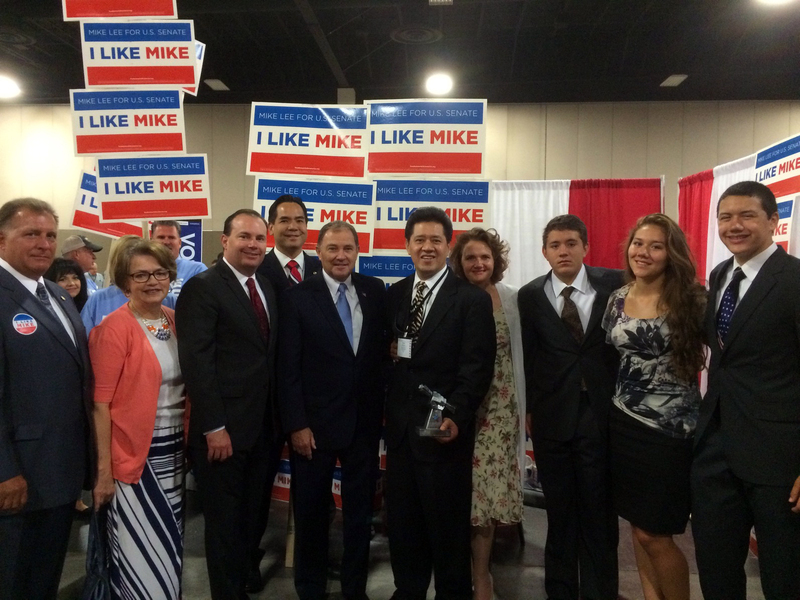 Governor Gary Herbert and Senator Mike Lee attended, along with many convention attendees. Hey, You will be able to know here that this https://rememberpasswordsinmicrosoftedge.net website will help you to know about how do i remember password in microsoft edge. Also will let you know more about it.